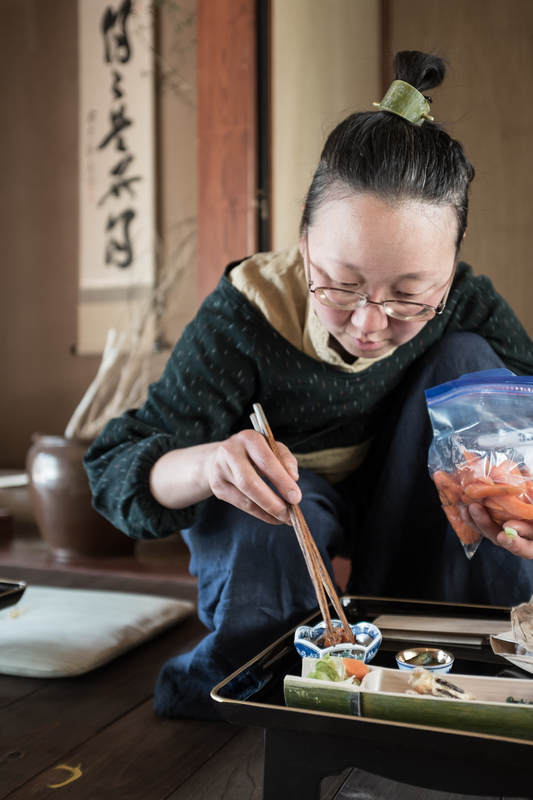 This installment of the Vegan Eats Project comes from Fukui Prefecture, where I stayed for two weeks in a village of only three people (four including me), in the mountains overlooking the Sea of Japan. 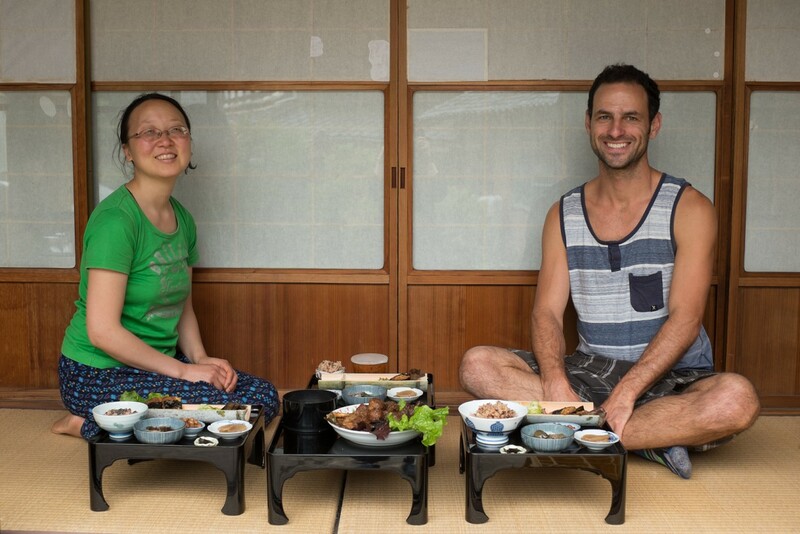 My hosts are vegan, members of Itadakizen, and I was lucky enough to eat what Akiko-san cooked up three times a day! This was some of the most amazing food I've eaten in Japan. But it was really hard to figure out what recipe to share! Partly this is because we would always have about seven or eight different items in every meal. So I just decided to share a handful of them! 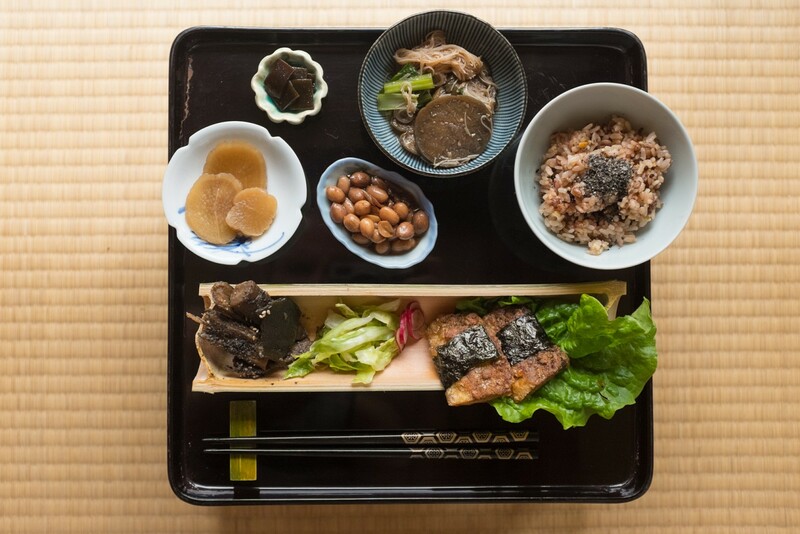 Below you will find recipes for tofu, burdock, gomashio, and "magic" rice. They are all delicious on their own, but as you can see from the photos we ate them as a part of a larger spread. 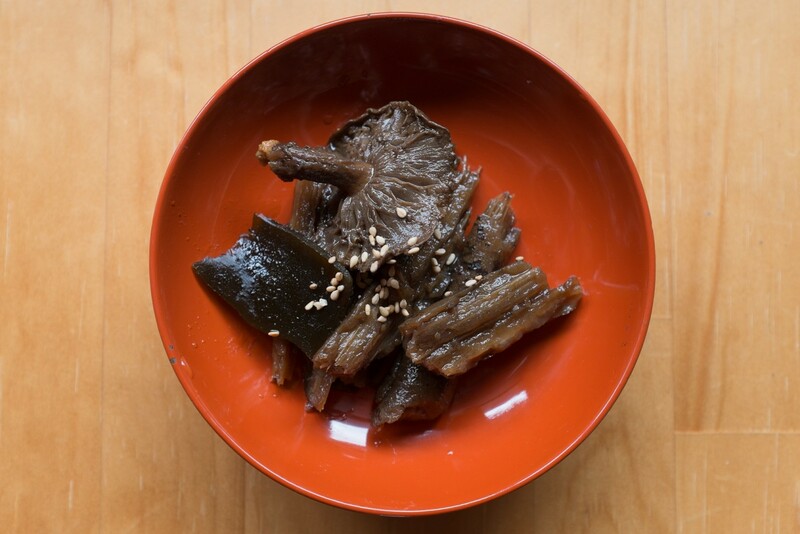 Gobo is Japanese for burdock, a hearty root vegetable easily found in many health food stores in the US, or at asian markets. While very healthy, burdock can be a bit fibrous and subtle in flavor. However, this recipe makes for a downright succulent, scrumptious dish, and now I don't want to eat it any other way! *The burdock found at asian markets is over two feet long, so one is plenty, otherwise two or three roots will do. **They really like to use date paste as healthy sweetener, but feel free to substitute agave or unrefined sugar if it's easier. First, scrub and wash your burdock, then give it a good massage with a sprinkle of salt. 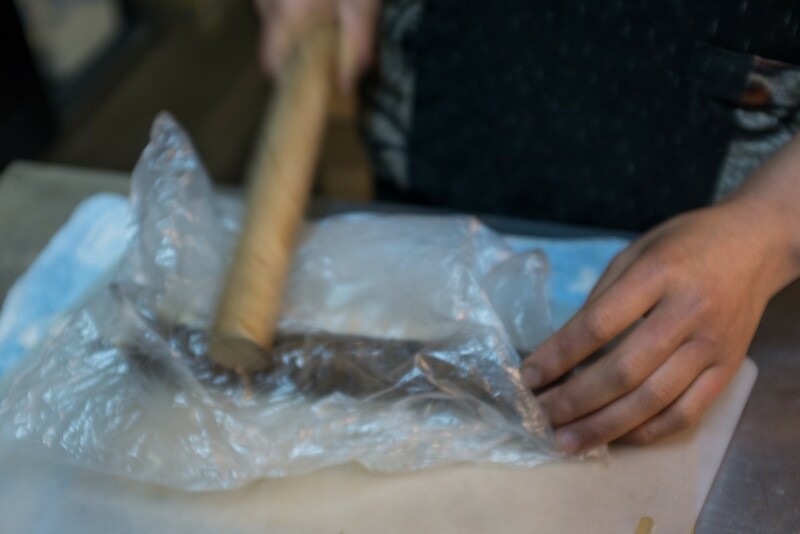 For this demonstration, Akiko-san then bashed the burdock with a rolling pin, and tore it apart into bite-size pieces, but you can also just cut it with a knife if you're not feeling so aggressive. Throw it all in a pot, cover with water, and simmer! The trick to making it tender is just to cook it a long time (surprise!). So simmer it for 30 or 45 minutes, until it's soft and easy to chew. Burdock has a nice earthy flavor, and with this broth it is pretty amazing—I think you will love it! Age (AH-gay) basically means fried. 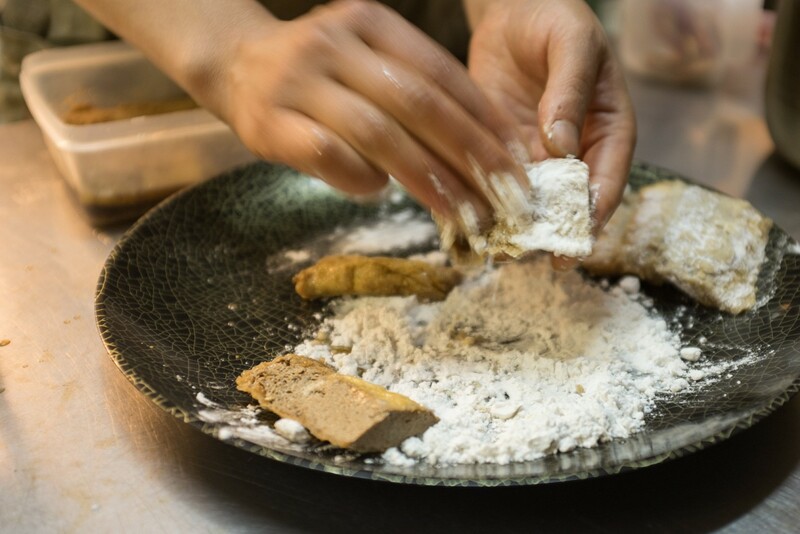 You can use a variety of things as a base (she also made it for us using a kind of Japanese rehydrated bread), but in this example she's using pre-fried tofu—so it's double age! * One variation is to use frozen tofu. 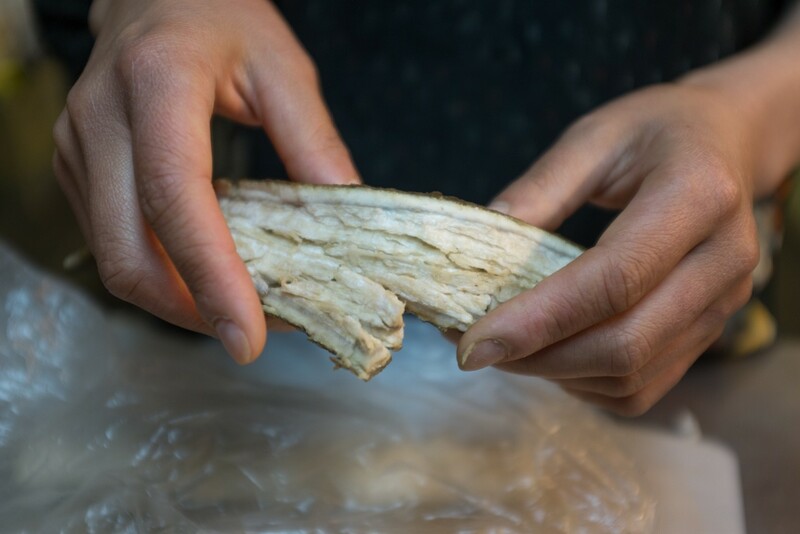 When you freeze and then thaw tofu the ice crystals leave a sponge-like structure. This makes the the tofu a bit chewy instead of creamy, but it's perfect for soaking up a marinade. Combine the soy sauce, water, ginger, and garlic. Cut the tofu into thin slabs, and soak in the marinade. If you're in a hurry you could probably get away with taking it out after 20 minutes, but a few hours or even overnight is ideal. 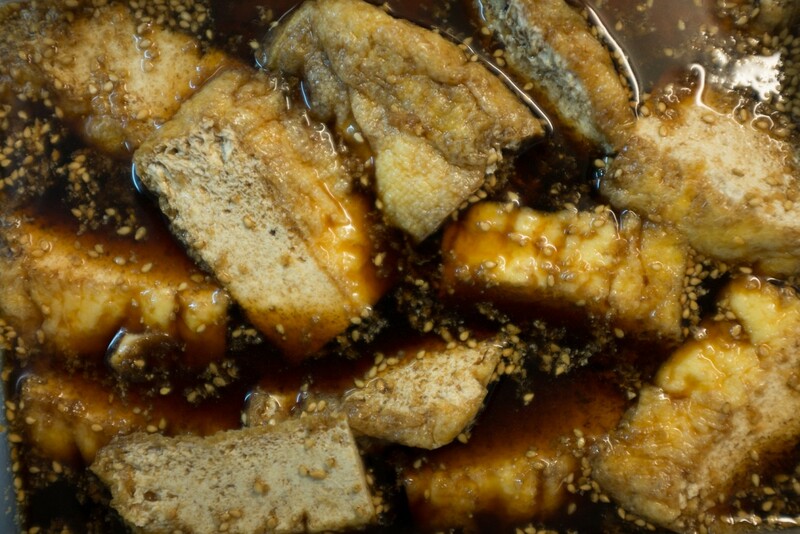 After soaking, remove the tofu from the marinade, and gently squeeze out most of the liquid. Rub the tofu in potato starch and fry in ample vegetable oil. You may want to experiment with the potato starch: try a light dusting, and try caking it on. 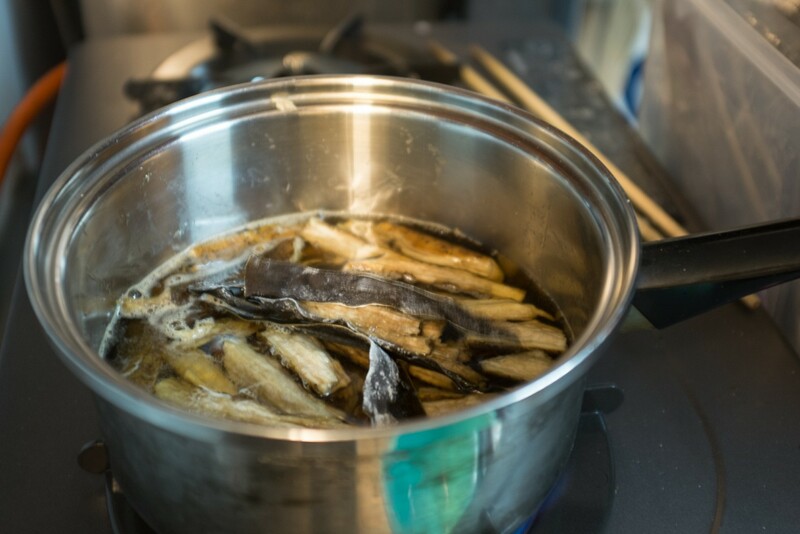 When fried the starch creates a light and crispy outer layer, and a soft and chewy inner layer. After frying you can use scissors to make cute little belts out of nori. Or you could put it on top of a salad or curry, in a nori roll, or anywhere else you'd eat fried tofu. There are only three simple steps. First, toast the sesame seeds. You'll want to heat them on low heat in a wide pan. Keep stirring as they can burn easily. Once you can smell that lovely toasted sesame smell they're ready. Next, grind them with a mortar and pestle (or alternately by pulsing in a food processor). 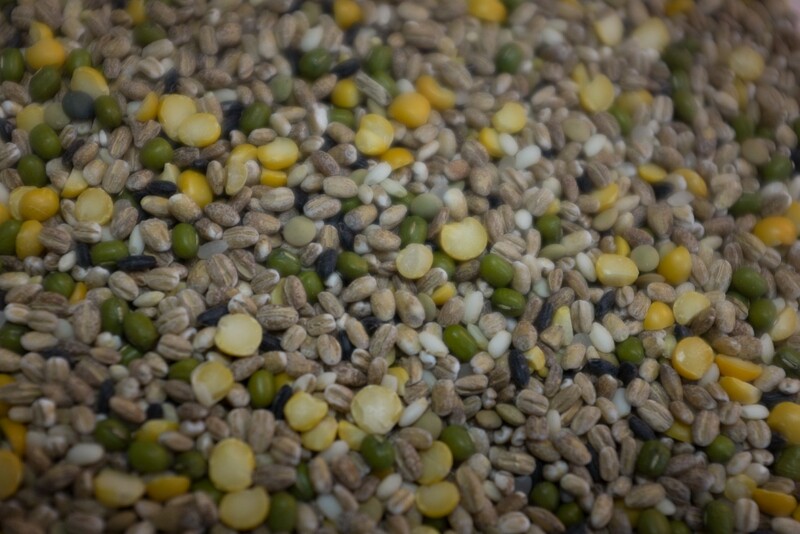 Typically you might grind until about 50% of the seeds are smashed, but you can grind more or less depending on how you like it. And finally, mix in some salt, to taste. This really brings out its lovely, nutty flavor. One last note: if you're making a large amount, only mix salt into the portion you will be eating soon. 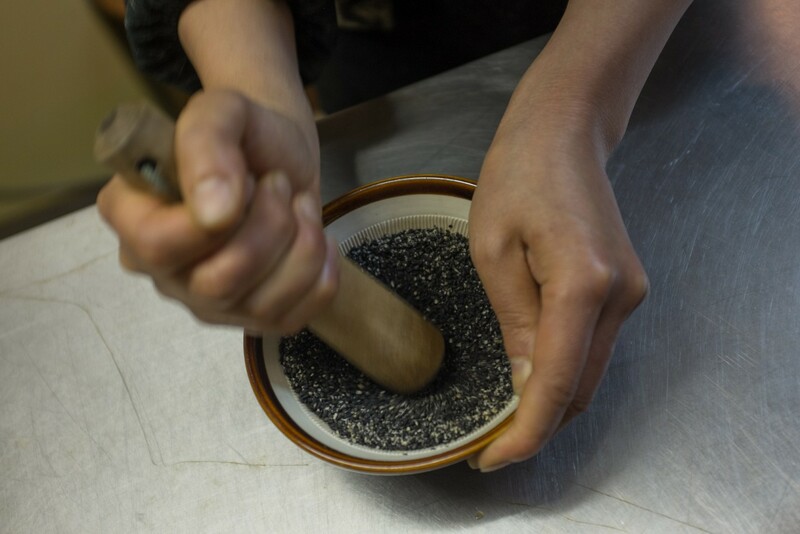 Store the rest of the ground sesame in an airtight container without salt. 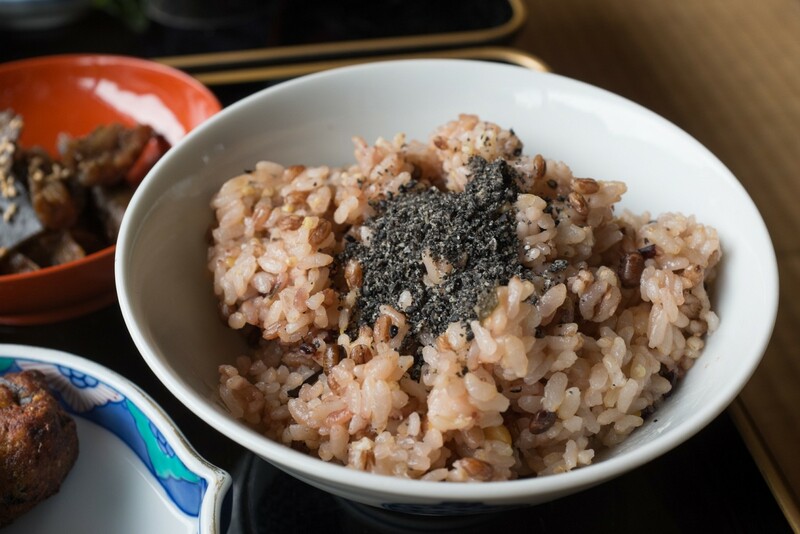 If you only mix salt into the gomashio you will be eating in the next few days, you can insure that it will stay dry and toasty (not soggy and stale). And finally the rice. It's not technically magic, but it's pretty damn good. It's kind of a signature of Itadakezen food. It's essentially a grain and legume mixture that they add to their rice. It makes for much more complex flavor, texture, and nutritional profiles. *The mixture is, in approximate order of volume: barley, split yellow peas, mung beans, black rice, sticky rice, lentils, and millet. They sell it pre-mixed, which is probably only reasonable to buy if you're in Japan, otherwise you can make your own—and customize it as you like. 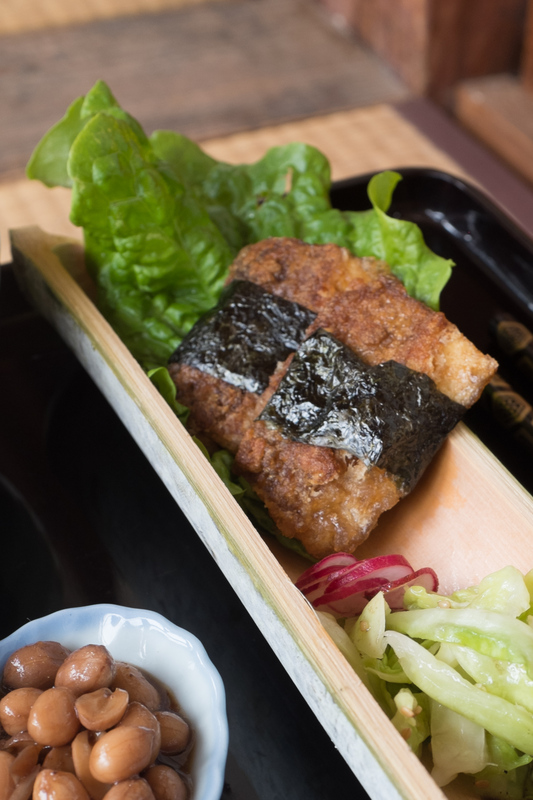 There are a handful of Itadakizen restaurants around the world (their goal is to open over 100), which are all vegan. They promote plant-based eating for the sake of animal welfare and sustainable agriculture, but they are primarily focused on health and spiritual reasons. As it was explained to me, everything we eat has a consciousness, and the stronger that consciousness is, the more of a disruption it has on bodies and our inner selves. Animals have a stronger consciousness than plants and, moreover, when the animals who are slaughtered for food are filled with fear, pain, and anger, we also internalize those negative elements when we eat them. So the idea is that by eating a plant-based diet we can foster peacefulness within ourselves, as a starting point for creating a more peaceful world. I'm sure there are subtleties I'm missing in the translation, but as far as I understand that's the gist. I don't know if the more spiritual angle really resonates with me, but it sure seems to be working for Akiko-san. She is one of the most kind-hearted, generous, warm, positive and accepting people I have ever had the pleasure of meeting. Although, I have a feeling she was probably pretty wonderful before Itadakizen as well. She thought I was just being nice by saying everything she made was delicious. But the love and intention she put into her cooking, on top of the impeccable quality of ingredients and her skillful technique, truly made every meal an honor to eat. It's largely for these reasons that their home is the one place I'm re-visiting while I'm still in the country, and I can't wait to go back!